Today was Clyde's day, first time fishing for Stripers and the first Striper he has ever caught! This Citation hooked up about 5 feet off the bank and headed straight toward the channel. 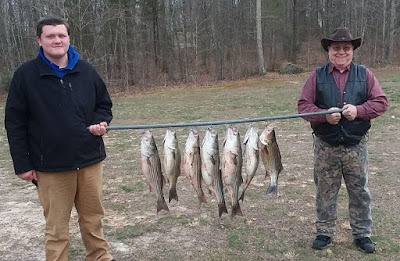 Couldn't have been a better scenario, the fish hit and went away from the rest of the boards which made battling the fish a breeze. 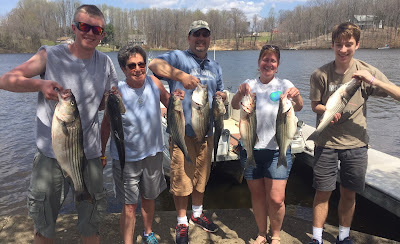 None of us realized how big the fish was till he hit the deck, it seemed as round as it was long! 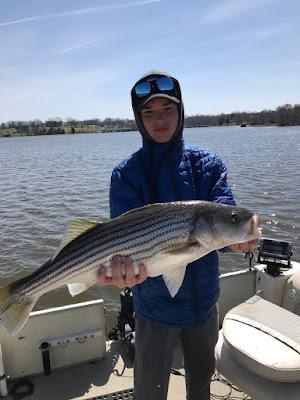 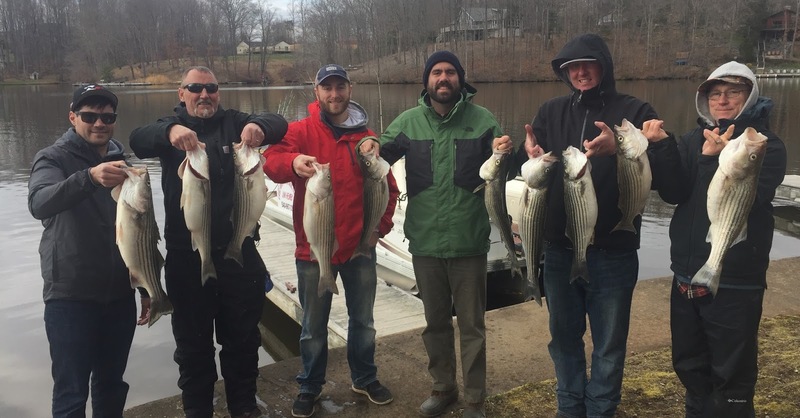 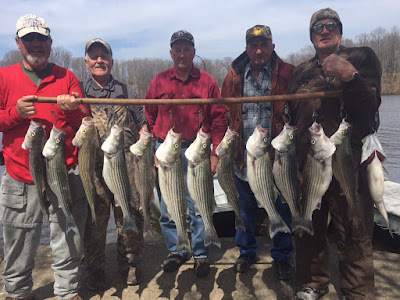 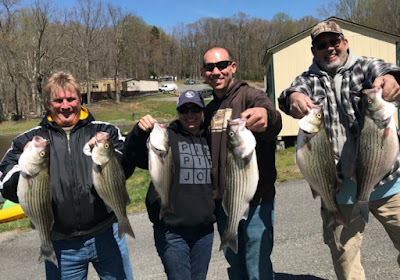 Overall fishing today was poor due to it being the weekend with a huge Bass tournament, gobs of Striper boats and every pleasure boater enjoying the 70 degree day. 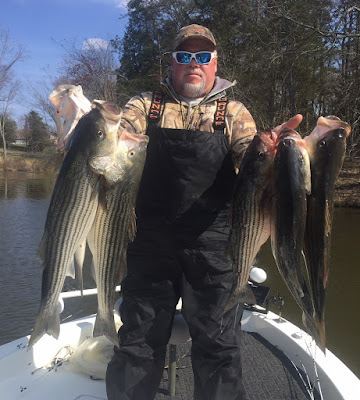 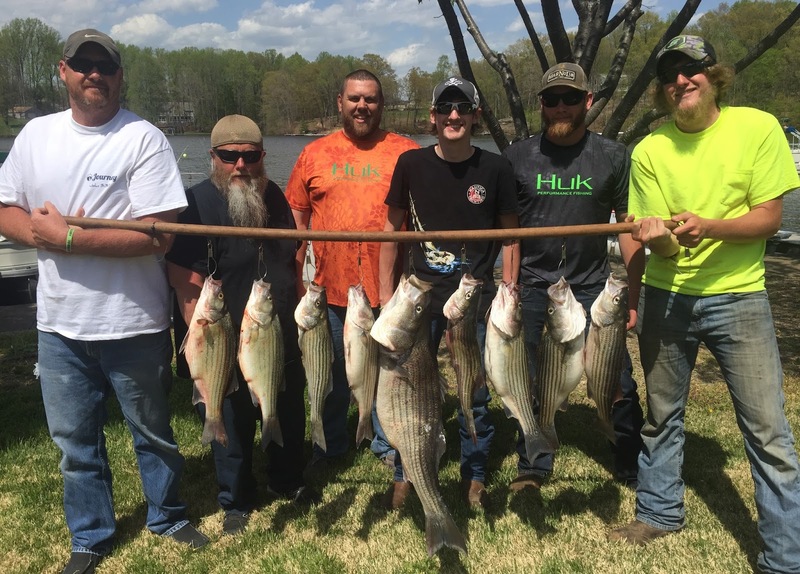 We are still anticipating the time when the Stripers will spawn so we can really have some fun. Hope it happens within the next few weeks. having fun reeling in nice fish. Can't wait for the spawn! for the big fish to start biting. 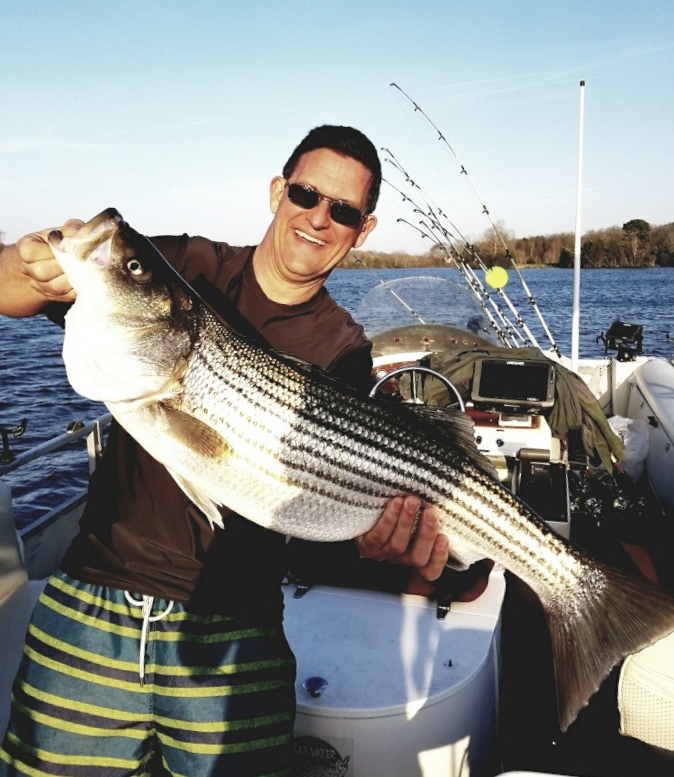 Want to book a trip? 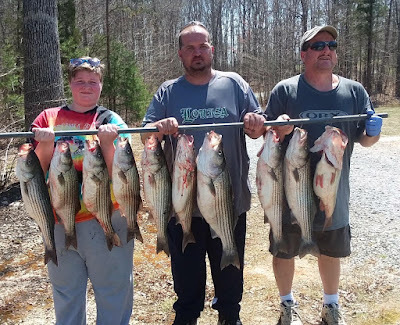 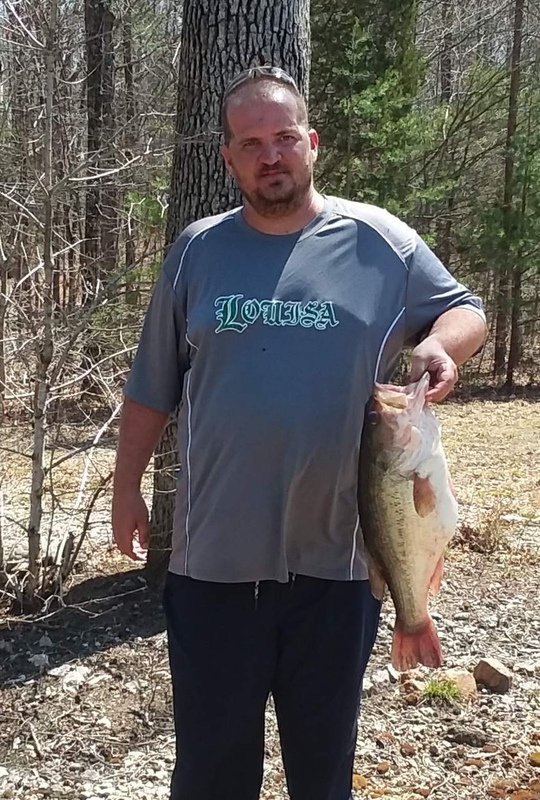 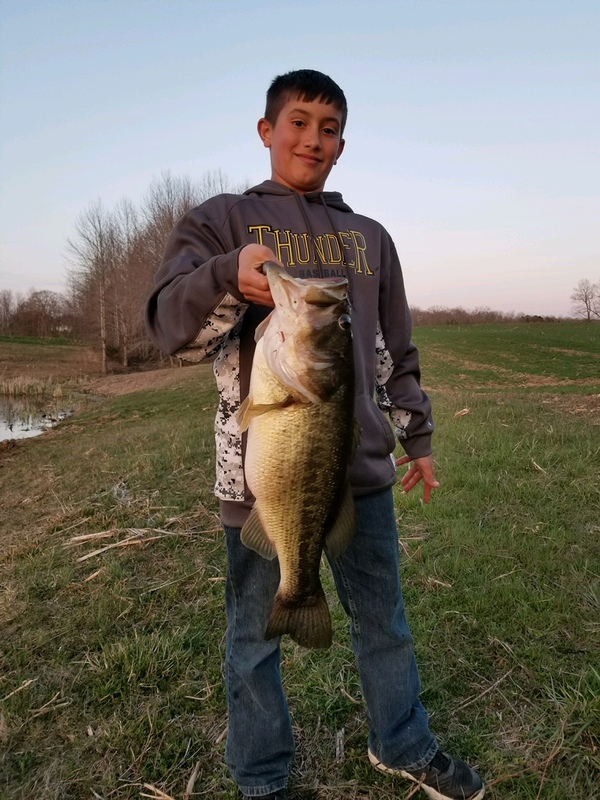 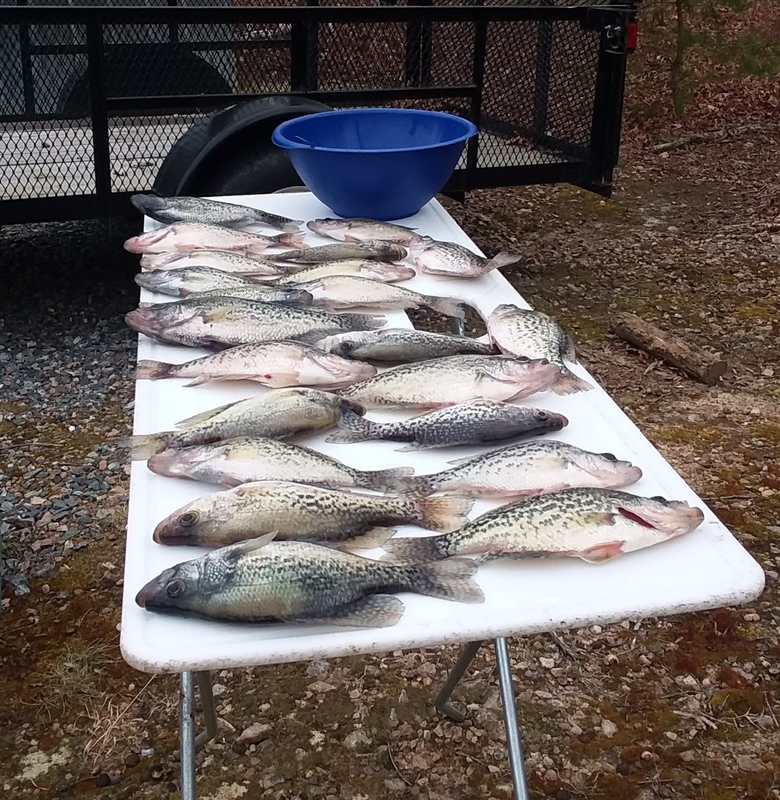 Tony put Stewart, Melvin, Ken and Charlie on some nice ones! 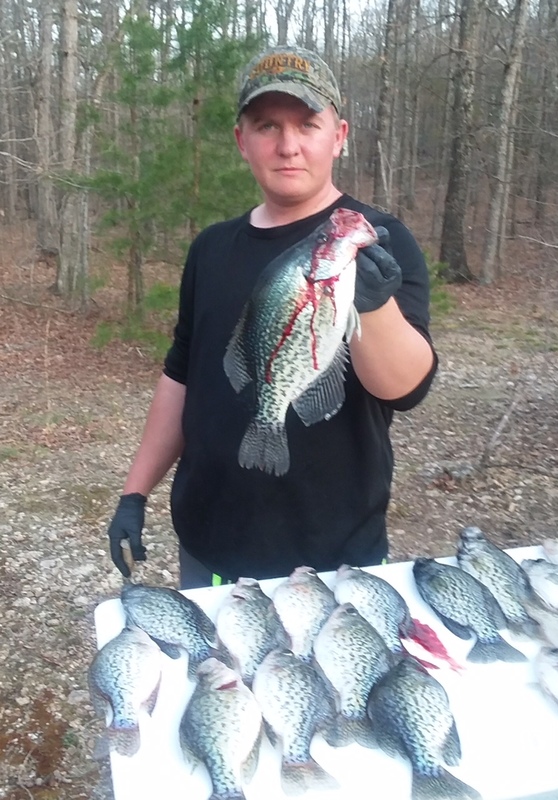 catch some nice fish this week.